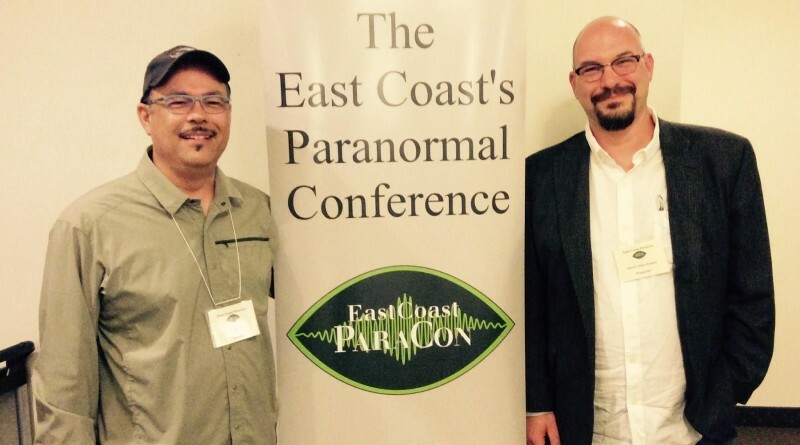 The second annual East Coast Paraconference took place last weekend (August 5th, 6th and 7th) in Liverpool, Nova Scotia, and I was fortunate to attend as a speaker. In the Internet era where fewer events like these are held – and those that do take place have seen declining attendance for years – I’m happy to report that here in Nova Scotia the Paraconference saw a marked increase in attendance from the first event held in August, 2015. The organizers in Queen’s County worked tirelessly to put on a first-class show for the people who made their way to the Liverpool Best Western over the weekend, and it paid off as attendees were treated to an eclectic group of knowledgeable, thought-provoking and entertaining speakers (and me) who covered a wide range of esoteric subjects, including crop circles, UFOs, Men-in-Black, ghosts, Oak Island, and psychic phenomena. Speakers included author / radio host Greg Bishop, historian Aaron John Gulyas, UFO researcher Chris Styles, Oak Island historian Danny Hennigar, ghost investigators from New Brunswick and Nova Scotia, psychic – medium Shawn Leonard, author and folklorist Steve Vernon, and yours truly. Kudos to the organizing team for putting on a world class show. I’ve been to many paranormal conferences in the United States and the United Kingdom over the years, often whilst filming documentaries, and the East Coast Paraconference is the best event of its sort that I’ve attended. It combines down-home Maritime hospitality with an eclectic array of guest speakers who challenge the audience to expand their horizons all while spinning some entertaining yarns that just may be true, much in line with the tradition of great Maritime storytellers and folklorists such as Helen Creighton. Planning is apparently already underway for the third annual Paraconference in August, 2017, and I heartily recommend that anyone interested in the paranormal mark the dates of August 11th, 12th and 13th of next year off on their calendar, because the East Coast Paraconference is one of those quintessentially Nova Scotian events that you don’t want to miss. When I was a kid, maybe ten or eleven, I read a short story in which a young boy and girl wander into an old cemetery at night. They decide to play a game of hide-and-seek and the boy makes the mistake of walking around the church in a counter-clockwise direction as he searches for a hiding place. Because the church had been cursed this caused him to become invisible, as if he had run into a portal and shifted out of phase with the universe or something like that. The only way he could get back to our plane of existence was by walking around the church in a clockwise direction which would reverse the effect. As I recall, the boy eventually figured it out and escaped from the trap, but not before both he and the girl were frightened out of their minds. Little did I know that three decades later I would find myself at a church in England where the truth would prove stranger than childhood fiction. 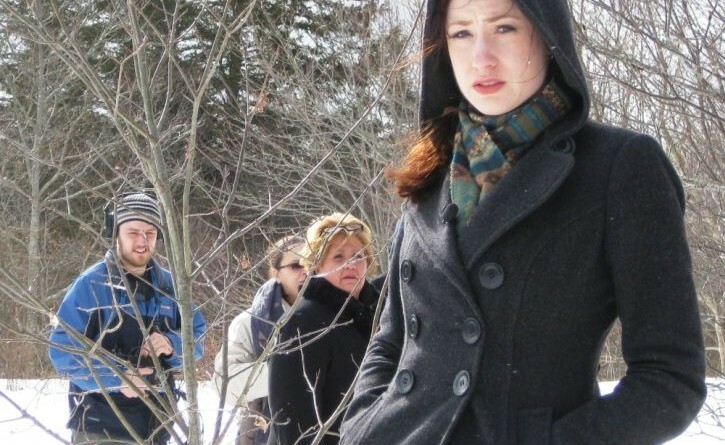 In order to broaden the international sales appeal of Ghost Cases, a television series I made for Eastlink TV back in 2008-09, I decided that we would film four episodes outside of Canada. Our first choice was Louisiana, and we had the locations and the trip booked, but we were turned away at the airport by US Customs, apparently because they don’t like any competition for the dire ghost shows produced in the United States. Or perhaps they had read my Facebook postings critical of American foreign policy. They didn’t really give us a reason. Fortunately, I had met a good bloke named Dave Sadler when we were both speakers at a paranormal conference in Altrincham, England, a couple of years before. At the time Dave had made the mistake of telling me that if I ever needed any help from “across the pond” all I had to do was give him a call. With our American trip now a non-starter I definitely needed help, so I rang him up. He was more than happy to work with us, and two months later, largely thanks to his research and connections, we landed in England to film the four foreign episodes. Dave picked Holly and I up at the airport, drove us back to our hotel in Congleton (a town about a half an hour south of Manchester), and introduced us to his fellow investigators from a group known as the Unknown Phenomena Investigation Association (UPIA). This somewhat motley but serious-minded crew included Steve Mera, an experienced investigator who would join Dave, Holly and I for all four episodes. Thus began a week of all around strange happenings, the likes of which Holly and I had not quite run into before. In 1942 a young Royal Air Force sergeant named Tom Hutchings was stationed near St. Andrews, New Brunswick, a small village near the border with Maine that looks like something straight out of a Stephen King novel. He left a dance one night with a pretty local girl named Bernice Connors who was found murdered the next day. 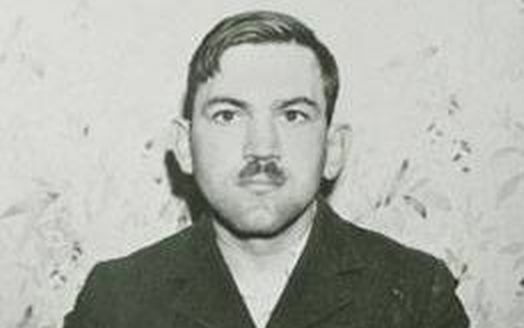 Hutchings was convicted of the crime and hanged in December 1942. He spent his final days in a small, dark, cold cell in the jail, within earshot of where his executioners constructed the gallows. By all accounts Hutchings was a model prisoner, passing the time quietly. He made his way to the gallows without a struggle and had nothing to say by way of a final statement. Unfortunately for him, however, the gallows hadn’t been built correctly. Instead of the quick death that he might have been expecting, it took Hutchings twelve minutes to be pronounced dead (some reports claimed it was eighteen minutes). Ever since, people have reported strange occurrences in the jail, and in his cell in particular, which led to speculation by the locals that the gruesome nature of his death had somehow trapped Hutchings’ soul in that spot, destined to haunt it for all eternity. Given the circumstances it seemed to me that his old jail cell would be an obvious spot for an episode of Ghost Cases. As a result, in February, 2009, I found myself sitting with good friend and co-host Holly Stevens in the cell at the St. Andrews jail trying to make contact with Hutchings. Just for good measure, and on the theory of “in for a penny, in for a pound,” I came up with the bright idea of trying to antagonize the spirit of Hutchings by bringing along a noose that was on display at the jail as a “trigger” item. And then things got really, really weird. Churchill Mansion is an old home in Yarmouth, Nova Scotia, that had been converted to an inn. It has a well-known reputation for being haunted, and when Holly Stevens and I taped an episode of our TV series “Ghost Cases” there in the winter of 2009 we weren’t the first television show that had filmed an episode of a paranormal-themed show there. The stories at the Mansion revolved around the original owner, Aaron Churchill, a famous seafarer and entrepreneur who was said to haunt the place with lascivious intentions towards any female guests, and his niece Lottie, who eventually suffered a mental breakdown and wound up in an asylum in Boston. What happened that evening terrified Holly, and still has me asking questions all these years later. 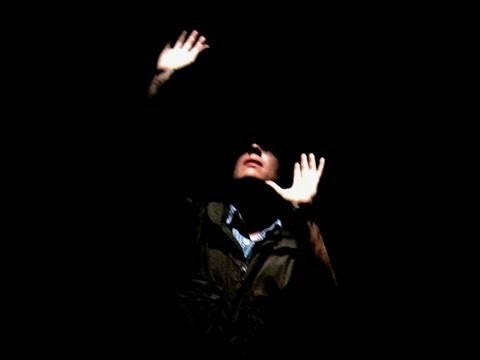 A ghost story from Quinan, Nova Scotia, in 2009, involving a dead baby, a spooky basement, a psychic, and a slightly less-than-intrepid ghost hunter.